Happy Monday friends! This past weekend I received a package filled with Flesh Makeup products and I was so intrigued by its name (hehe) and packaging I decided to try it right away. Flesh is Revlon’s prestige brand that is available exclusively at Ulta Beauty. 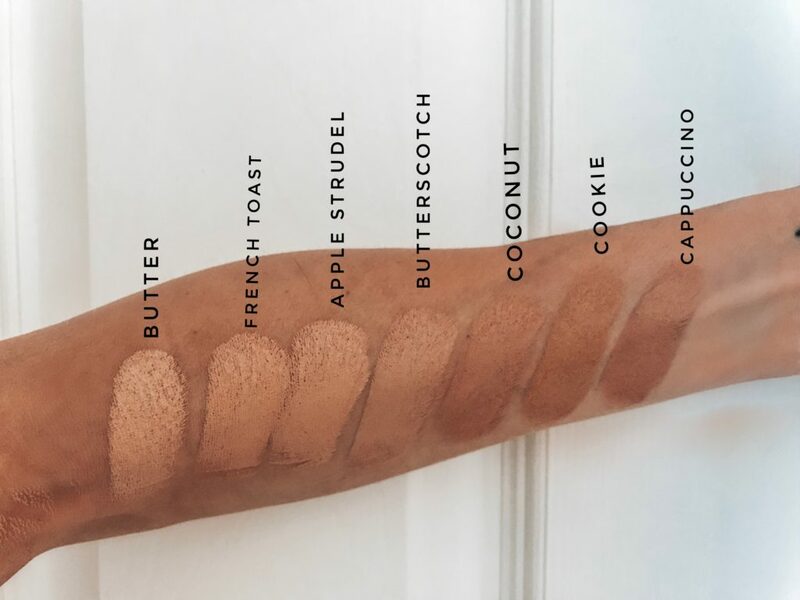 Firm Flesh Thick stick Foundation (lol!! ): Besides the interesting – to say the least – product name I have to say I’m quite impressed by the foundation coverage and wear. Pros: It provides a seamless full coverage without the heaviness of such. I love the feel of it and how I didn’t even need concealer to hide my melasma, that’s full on during summer. It’s easy to apply and the color range is amazing, I found two or three that match me perfectly depending on how tan/pale I am. The travel size makes it super easy to throw it in your purse. Very portable! Cons: Very little product for $18. The plastic package is not the nicest and I needed a powder to make sure product didn’t transfer as much. Medium wear, not a full day but perfect for a half-day or a night out! Tender Flesh Blush: great range of colors I was able to multi-task the product and LOVED the end result. Pros: richly pigmented, infused with coconut and sunflower-seed oils plus pomegranate and ginger-root extracts make the product glide on the skin and have multiple benefits. It coes in two finishes, matte, and frost. Touch Flesh Highlighting Balm: a cream like a highlighter, great on a bare face or over foundation. Pros: good color variety and it’s formulated with pearls and conditioning oils for a “glow-from-within” finish. Cons: Plastic package and very little product. Ripe Flesh Glisten Drops: a liquid highlighter that has a concentration of mica for you to intensify your glow as much as you wish. Pros: drop tool, gelled with water for moisture retention and concentrated. I like the fact that we can build up or leave it as little as we wish. I also love applying thin under foundation. Cons: It’s more of a highlight bronze than a true highlight, not as strong as the balm. Flesh to flesh highlighting powder: mine came broken that’s why I couldn’t feature on the video but since then I put it back together with rubbing alcohol and it’s like new! The only thing I’d say is to be careful with the amount of alcohol you add. Mine is now smelling like alcohol 🙂 however, I’m so happy I could save it because I love the product. Pro tip: swipe it over the balm for an intense glow! Strong Flesh Lipstick: my favorite lipstick of the three varieties. Pros: great packaging, magnetic cap. Super pigmented and lightweight. Satin finish and buttery feel. I just love the color payoff and long wear. Cons: not a huge variety of colors. Fleshy Lips Lipstick: It’s a sheer lippie for those who don’t want a lot of pigment. Pros: natural sheer color and very moisturizing, I wear it as a chapstick. Cute packaging showing color without you having to open the tube. Contains rosehip, lavender, and white-tea extracts. Cons: Too sheer for me. I also wish it had a bit of a scent. That’s all for today loves, I hope this was helpful to guide you through the purchase (or not) of Flesh Makeup! Thanks for the informative review! You are so beautiful ~ you could make any product work.???? I will definitely check it out! Have a blessed week and good luck with the sale! I’m going through my closet right now and it’s kinda scary! ???? So glad you like the post Sabrina! Thanks for taking the time to leave me a comment! !